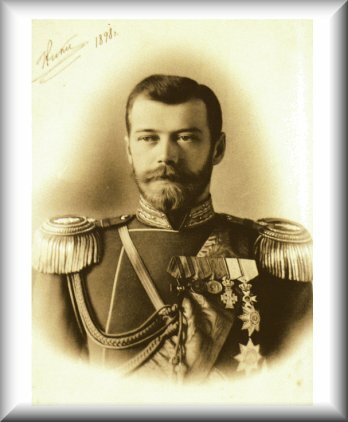 In certain ways Czar Nicholas I resembled the evil infamous Haman of Purim, besides the fact that they both sought to eliminate with what they perceived as the, 'Jewish problem' in their midst. Haman and Nicholas, who was known by the Jews of his time as Haman the Second, both declared war first and foremost on the future of the Jews, the young. The Midrash Raba on the book of Esther relates that when the letters calling for the extermination of the Jews were sealed and given to Haman, he and all the members of his group departed from the king blissful thinking the days of the Jews' destruction was at hand. As they were walking, they soon encountered Mordechai running after some school children and followed after him to see what he was up to. When Mordechai caught up to them, he asked one of the children, "Tell me the verse you are learning?" The child answered, "Do not fear a sudden peril" (Psalms 3:25). Upon hearing the conversation, Haman angrily declared, "My first victims will be the children." After witnessing the declaration of faith of a child, Haman seethed in anger and declared that his first victims would be the children. It was the simple faith and determination of a Jewish child that he detested so. It was also the fact that Haman understood that the survival of any people was based upon the young. Without the young there is no future. That hatred also burned within Czar Nicholas I. A professed anti-Semite, he detested the Jews. Where other Tsars had failed in their efforts to break those bonds that held the Jewish community of the Yiddishkeit rich Pale Settlement together, Nicholas was determined to succeed. Upon accepting the throne in 1825 the new Czar, harsh and cruel was no doubt aware that efforts to force the Jewish community to accept Russian Orthodoxy failed miserably. Decrees calling for their resettlement, along with restrictions and the burdens of excessive taxes were all to no avail. The Jews willingly accepted the travails that came with being Jewish over the privileges offered if they accepted baptism. When Nicholas became Tsar in 1825, he was determined to change that status quo. He knew that the discriminatory laws heaped upon the Jews alone would not achieve his objectives, he had another plan for the Jews. If the adults could not be coerced, then the targets would be the children. If baptism could not be won, or coerced, then it would be forced. On August 27, 1827, Nicholas published the decree known as the, "Rekrutschina" which officially called for the recruitment of Jewish boys between the ages of twelve and twenty-five for the military. In reality, many children younger then twelve were forced into service into service. From the age of eighteen, their service would continue for an additional twenty-five years. The decree was an attempt to institute a large-scale enforcement of Jewish boys to accept baptism. For the next thirty years, approximately seventy thousand Jews, approximately fifty thousand of who were children, were forced into the military. After being sent away far from their homes, efforts to proselatize them began. If they could not be persuaded with inducements such as a meal, after days of starvation, or sleep, after being kept awake, they would inevitably face torture. The 'Cantonists', as they were known, demonstrated the type of heroism in their efforts to resist, rare for adults, let alone children. Many children died due to the physical punishment, others terrorized by the intimidation and torture, accepted baptism. Some held out and never succumbed. For thirty years, the Jewish community was traumatized, and their cohesiveness as a community suffered. That too was no doubt part of Nicholas' strategy. Parents panicked with the fear that at any moment their sons could be abducted. The Kahal (the Jewish community) was forced to supply recruits and hired Chappers, (kidnappers) to steal children from their homes thus pitting Jew against Jew. Wealthier Jewish members of guilds were exempted by the decree, which only added to the growing division and resentment among Jews. It can be argued that the very close unity of the Jews was never fully restored. Nicholas was perpetually diligent in his efforts. He closely monitored the rates at which children were being baptized. In 1844, he instituted monthly reporting by each battalion on their progress in baptizing children as he urged more stringent measures against the boys. When he was given a report that all the children in one particular battalion in Saratover had been baptized, he triumphantly wrote, "Praise the Lord." In 1853, using the Crimean war as a pretext, Nicholas seeking to further terrorize the Jews, increased the quota of recruits from each town and authorized that any Jew without a proper passport be detained as a 'vagrant' and held as a recruit. This law put any Jew who left the confines of his town in danger, for papers could be confiscated or lost. Furthermore any Jew was authorized and offered incentives to detain a fellow Jew without papers. Even though only a few Jews participated, and while the vast majority detested such practices, the Jewish community was torn further asunder. It is difficult to perceive the chaos of that era. Those years in the early 1850's were a living nightmare for the Jews of the Pale Settlement. Nicholas had apparently struck their Achilles heal, their children and their unity. The Jews much have no doubt wondered, how much longer could this torture continue? Would it get even worse? How much longer could they endure? Fortunately for the Jewish community, relief arrived. Nicholas' career as their antagonist ended on February 19, 1855, with his death, and his successor Alexander II, six months later issued the beginning of a series of laws, which incrementally abolished the terms of the Cantonist system. The sense joy and celebration among Jews when they heard the news was overwhelming. February 19, was also the holiday of Purim; the same day that Haman and his forces had planned to destroy the Jews, and were defeated by the Jews. There would be many future oppressors of the Jews in Russia, but that Purim day, as in ancient Persia and in Tsarist Russia was a day of 'deliverance and salvation'. A day when the plans' of two Hamans were thwarted. Larry Domnitch is the author of "the Cantonists: The Jewish Children's Army of the Tsar" published by Devora Publicizing Company.